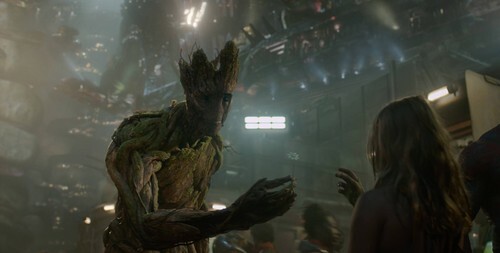 Groot~ Guardians Of The Galaxy. Groot showing his soft side. HD Wallpaper and background images in the Guardians of the Galaxy club tagged: photo guardians of the galaxy groot marvel 2014. This Guardians of the Galaxy photo might contain 악어 물리기 거북, 악어 도미, macroclemys temmincki, 악어 물떼새 거미, 악어 자라 거북, and 악어 떼.